The world needs clean drinking water. During civil strife in Sierra Leone, much of the water supply was lost. Wells were destroyed, water pipes blown up, water supplies dried up. Normally, villagers trek through narrow paths to carry water on their heads for long distances. They get their water from wells, rivers, streams and use it for all their needs such as drinking, cooking, bathing. During the time I lived in Africa, I came face to face with the reality of how unclean water wrecked havoc on populations. Infants died, adults became infected with disease. Unclean water was central to health problems. I had no way of correcting the problem. Even though I walked nearly on top of water, I could not bring it up. And it was not clean. Now there is a way you can help address the problem by contributing to my Web site here. Together we can restore wells, build new ones, construct water pipes, put a local team in place to manage project for five years. Most importantly, we will keep you connected to your project by sending updated progress reports, photos from your village. 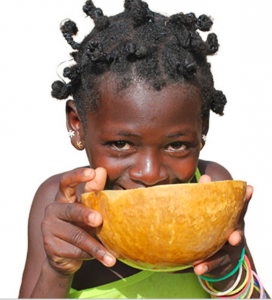 I invite you to join with me to provide clean, safe water to a village in Sierra Leone.